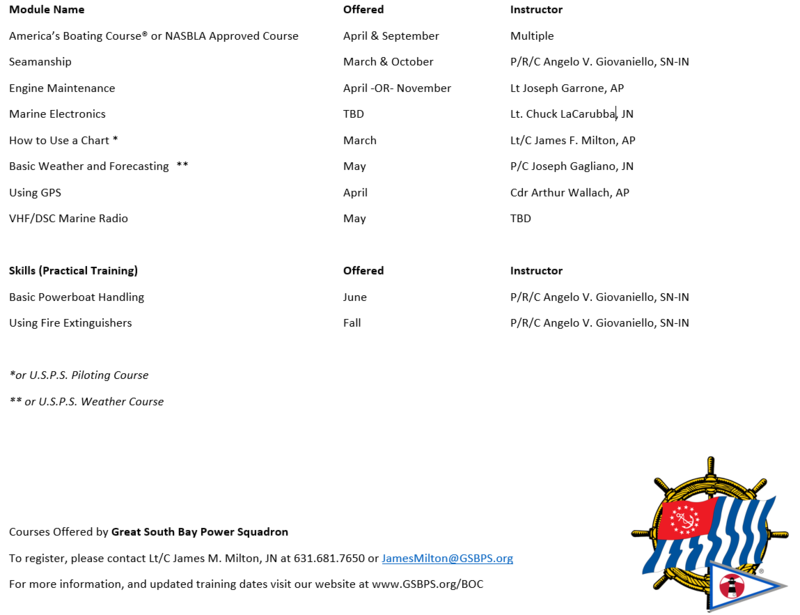 Great South Bay Power Squadron is excited to announce that the Boat Operators Certification (BOC) training program will be offered for the very first time this summer! 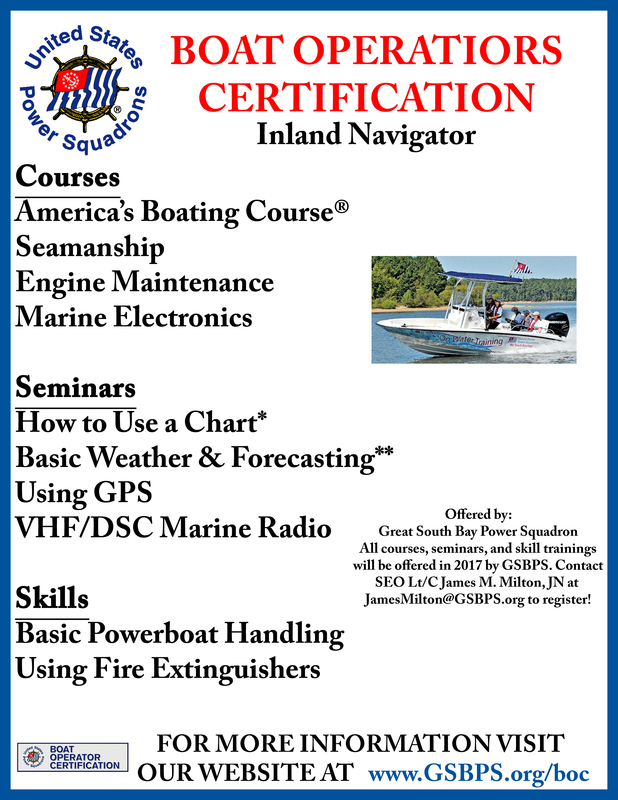 The BOC is a combination of courses, seminars, On the Water Training, and hands-on skills training that will provide you with an excellent background for successfully operating your vessel as well as give you the tools for complete confidence on the water. And you’ll be sure to have lots of fun with your course-mates while completing it, too! Lunch will be provided on the day of the on water training. *If you have completed portions of this in the past, you do not need to retake the course or seminar; credit will be given and some seminars can be skipped if a superior advanced grade has already been obtained. E.g.“How to Use a Chart” can be skipped by students who have the Grade of P.
**This does not include any seminars or courses you may need.